At Butler Creek we want every child to leave here each day with the knowledge and skills to become a successful learner and to strive to become a better person. Be Safe: Hands are for helping, not hurting. Being safe both in the school and outside on the playground. Be Respectful: Treating yourself and others with kind words and actions. Follow directions, have good eye contact, and be aware of the learning needs for yourself and your classmates. Be Responsible: Be on time, and actively engaged. Make good choices and listen well to your peers and teachers. 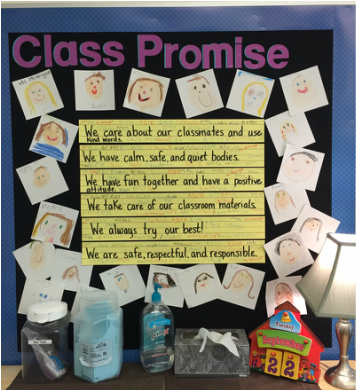 Take care of our classroom and materials.